Do you trust your food? How do you know that what you’re eating is what you thought you were eating? Is it because you know the source, you trust the label, you made it yourself, or some combination of each? Upheaval in agriculture and food production in the later 1800s threw all these questions into tumbling relief, spawning a debate called the pure food crusades. The confusion wasn’t new as claims of adulterated (contaminated) food were nearly timeless. But the terms of the debate became ever-more confusing with the introduction of foods from factories and not just fields. Conventional agricultural production and food identity were radically upended in just a half century with those new factories, new manufactured products, and new ways of buying, cooking and knowing food. Add to this that trusting food has always meant trusting people, yet trusting people was also increasingly difficult in the face of Gilded Age hucksterism, con men, and duplicitous cheats. Challenges to character and authenticity wrought by a world in flux brought this question to the forefront: What did it take to find sincere people and sincere food? By the early twentieth-century, trusting food would mean trusting labels. Pure Adulteration (University of Chicago Press, 2019) tells the story of the transition from trust in the agrarian world to trust in the analytically certified consumer market. It uses debates about purity and adulteration—debased, corrupted, or contaminated food—to examine how new manufacturing practices challenged cultural ideas of “nature” and “natural” and how those challenges resulted in new science-based food regulation. In the end, people would wonder if industrial, manufactured food was a con too. The result was modern food regulation based on the 1906 Pure Food and Drug Act and anchored by the new authority of chemical analysis. A digital companion to the book, purefood.lafayette.edu, hosts maps that illustrate the changing circumstances of late-nineteenth century food geographies. The maps begin with a tour of one of the century’s most notorious con men, the Chevalier Alfred Paraf. They then provide visual access to changes in legislation, commodity production for oleomargarine and cottonseed oil, and export patterns for three contentious adulterants of the era, oleomargarine (and oleo oil), cottonseed oil, and glucose (“grape-sugar”). Notes from the Ground (Yale, 2009/2011) is about how and why dirt became an object of scientific interest. To that end, it is a story of defining the modern landscape with scientific means. The book examines the historical and cultural basis from which agriculture and science first came together in America, a combination that begins in the early Republic of the later eighteenth century and becomes fully manifest by the mid-nineteenth. It explains how and why agrarian Americans—yeoman farmers, gentleman planters, politicians, and policy makers alike—accepted, resisted, and shaped scientific ways of knowing the land. It also asks questions about credibility and authority: when advocates claimed to know something new about the soil, why did anyone else believe them? 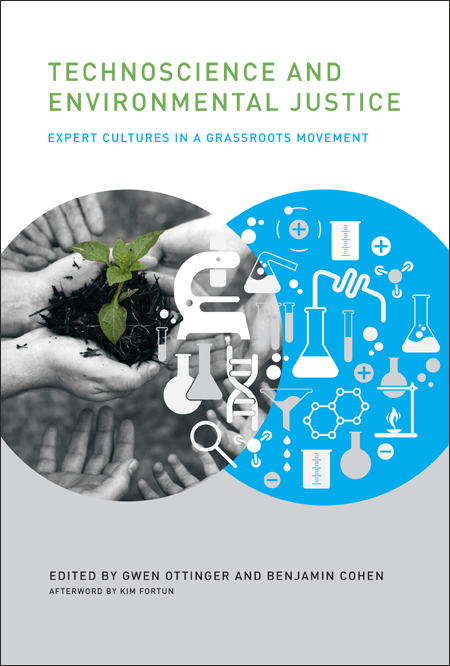 Taking the knowledge and credibility questions together, in its larger ambition Notes from the Ground is a study of how science became a culturally credible means for humans to interact with the environment.